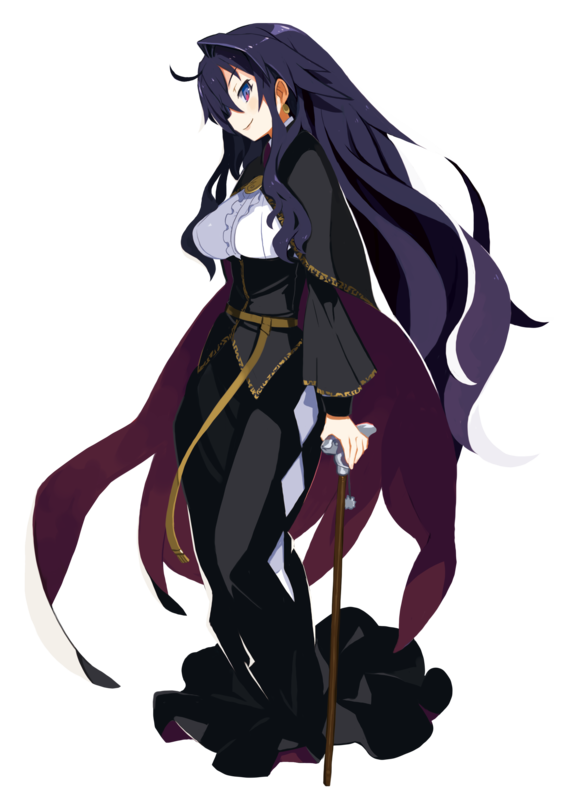 Labyrinth of Refrain: Coven of Dusk - The Main Three | NIS America, Inc.
Who are Dronya, Luca, and Tractatus de Monstrum? 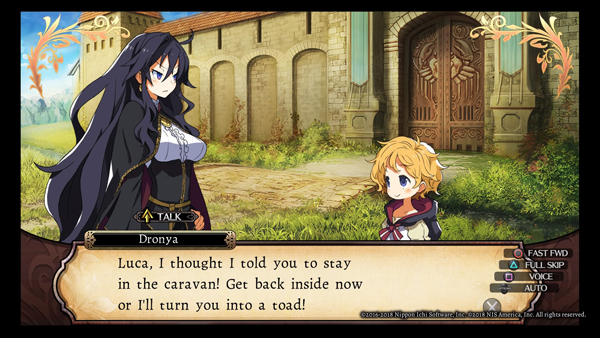 Dronya's young apprentice and traveling companion. An upbeat, excitable child who is easily moved to tears and laughter, often alternating between the two. 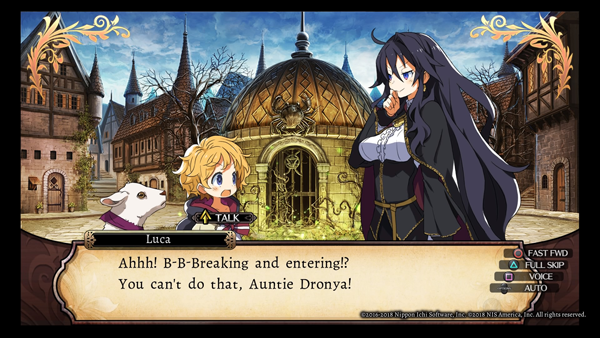 Despite her young age, Luca can perform a variety of household tasks, such as cooking, cleaning, shopping, and doing laundry. 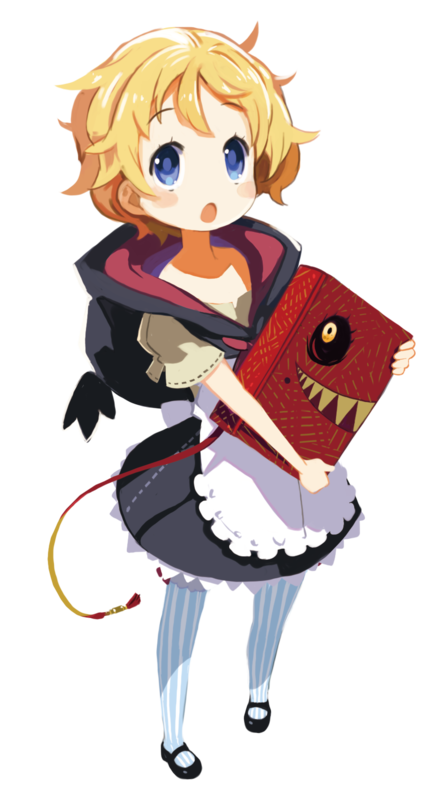 A legendary cursed book that contains the player's soul. It is said to have been scribed by the only man to uncover the secrets of the labyrinth and survive. 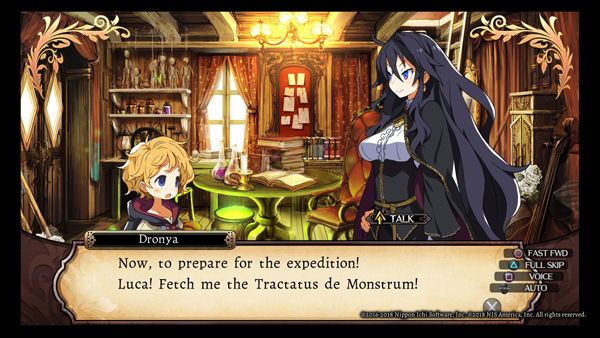 Now, the Tractatus de Monstrum—or "Tractie," as Luca calls it—must lead Dronya's puppet soldiers into the labyrinth of Refrain and unearth the secrets buried within. 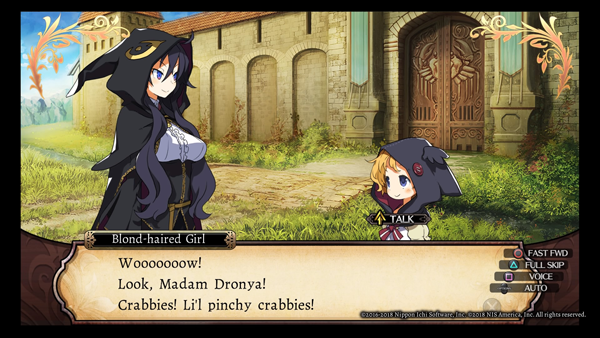 Find out what's in store for these three in Labyrinth of Refrain: Coven of Dusk. Arriving on Nintendo Switch, PlayStation 4, and Steam in Fall of 2018!